Lord Bhairav is considered to be the incarnation of Lord Shiva. Kalabhairava is the Lord of the March of Time. The Sanskrit meaning of the word ‘Bhairava’ is ‘Terrible’ or ‘Frightful’. 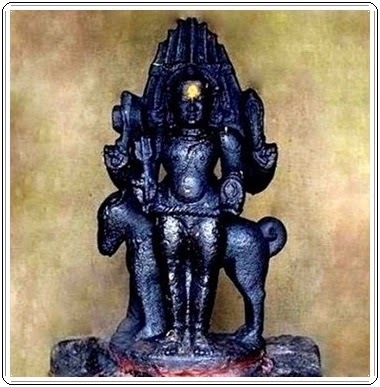 Kaala Bhairav Ashtakam composed by Shri Adi Shankaracharya is devoted to in Kaal Bhairav.Bhairav is a fierce form of Lord Shiva and worshiped by Hindus and Buddhists alike. It is believed that Kalabhairava would solve most of the problems which are pending for a long time. Those who wish to improve their time management skills also may worship him. Persons having malefic planets in the birth lagna (time) or n transit is effective to reduce their negative effects. According to Indian Astrology worshiping Bhairav is also helpful for those suffering from the malefic effects of Rahu in the horoscope. For more details of this diety check my hub Kalabhairava - The Lord of the March of Time.